Disney Interactive and VEVO, the world’s leading all-premium music video and entertainment platform, are joining forces to create premier family-friendly music experiences. The partnership will include co-branded complementary destinations. 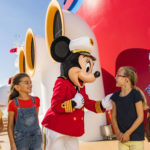 Disney will feature videos from VEVO’s premium catalog of more than 50,000 music videos on Disney.com, and Disney will curate and program the family-friendly music video experience across VEVO’s online, mobile/tablet and connected TV platforms. 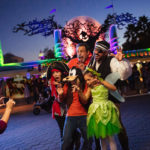 As part of the pact, Disney Interactive, Disney Music Group and Radio Disney will collaborate with VEVO to produce music-focused original programming, including coverage of exclusive events, music video premieres and live music experiences with Disney recording artists, which will feature across both companies’ platforms.